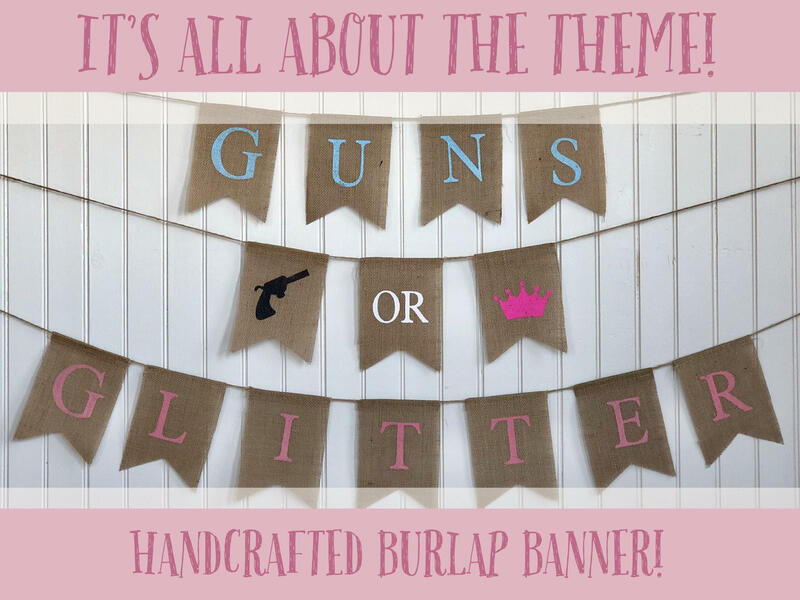 GUNS or GLITTER Burlap Banner! 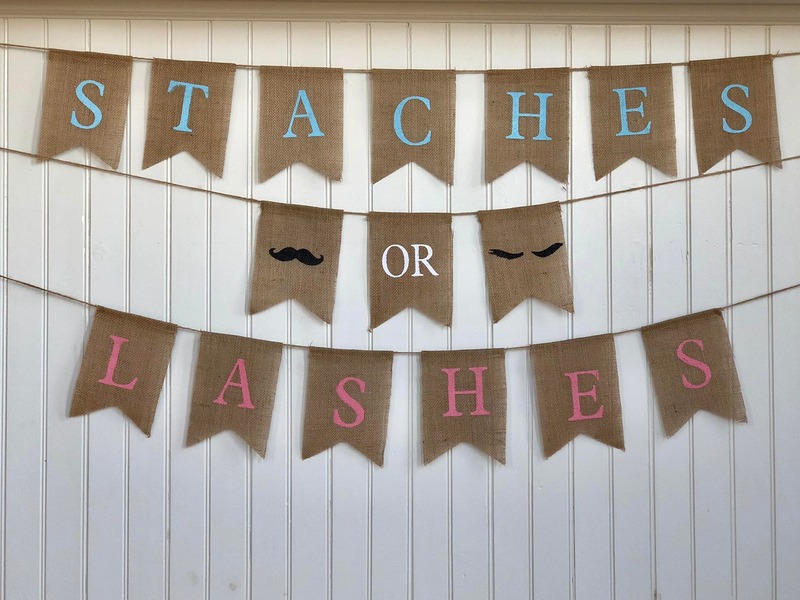 The Perfect Gender Reveal Theme! 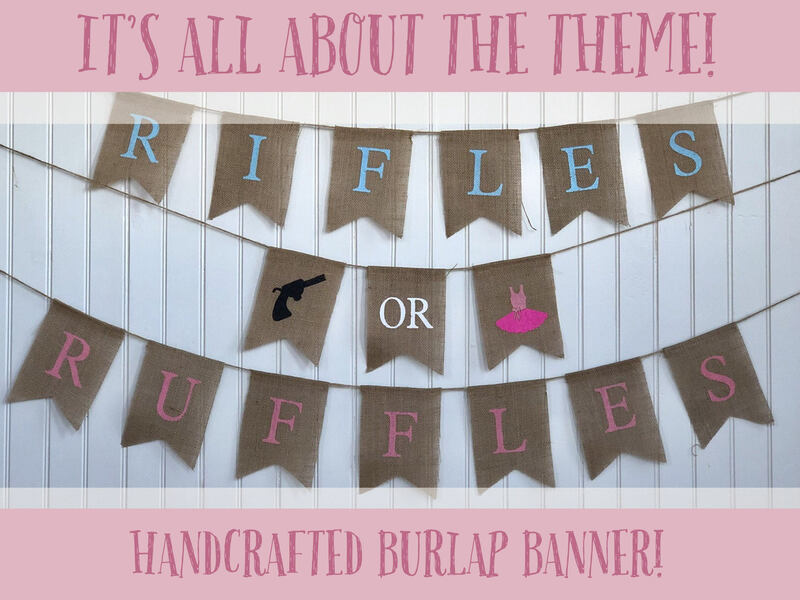 Customizable Burlap Banners! 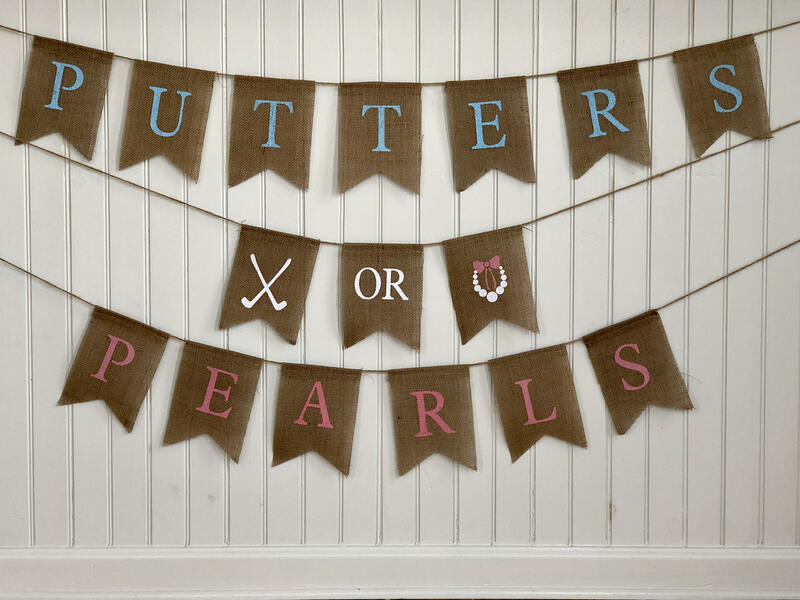 Perfect Gender Reveal Ideas! So what's your Theme? 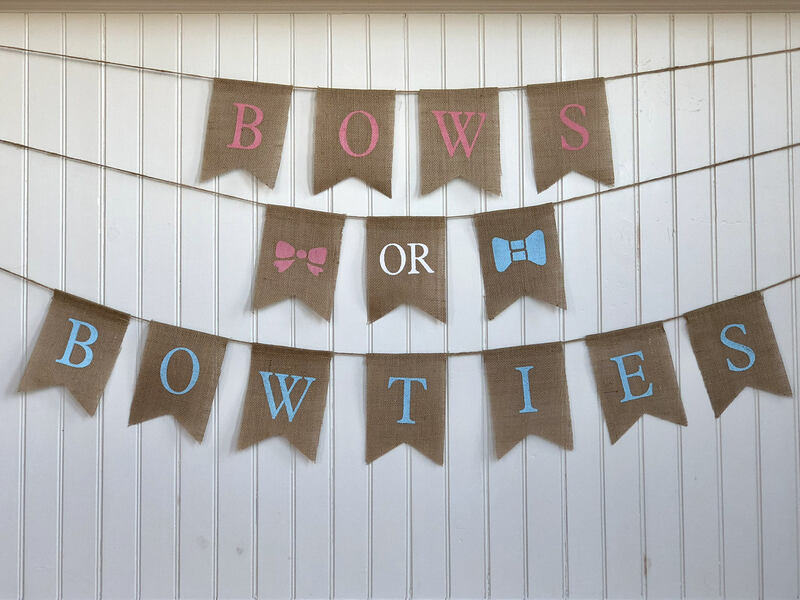 Gender Reveals have some of the funnest themes and we love the creativity that goes into planning the picture perfect reveal. 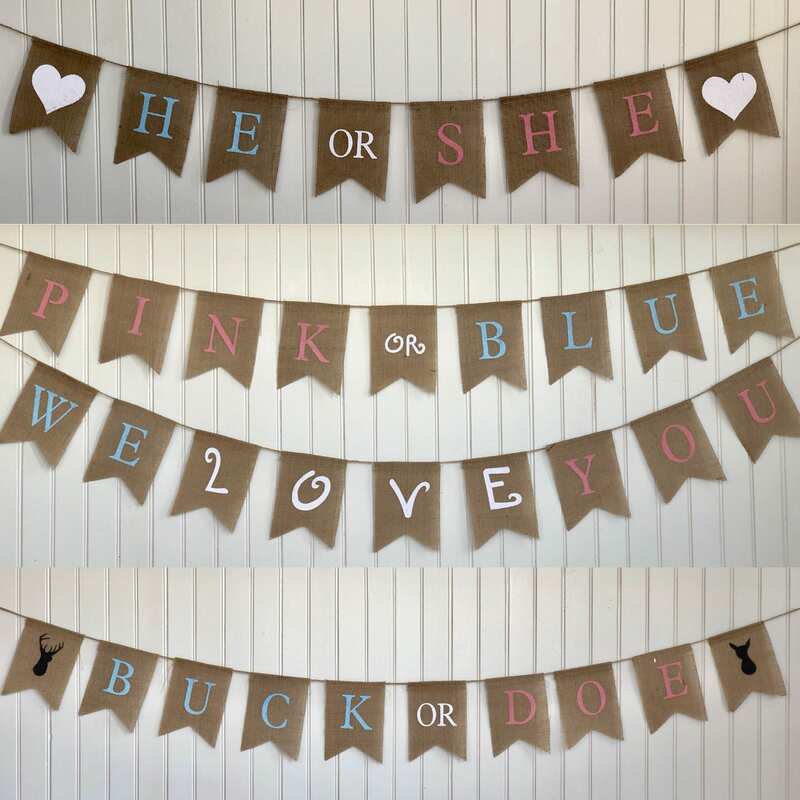 We have created a lot of fun Gender Reveal Ideas and now make these brilliant handmade burlap banners for so many different themes to ensure the perfect reveal for you! Perfect Banner for the Creative at Heart! 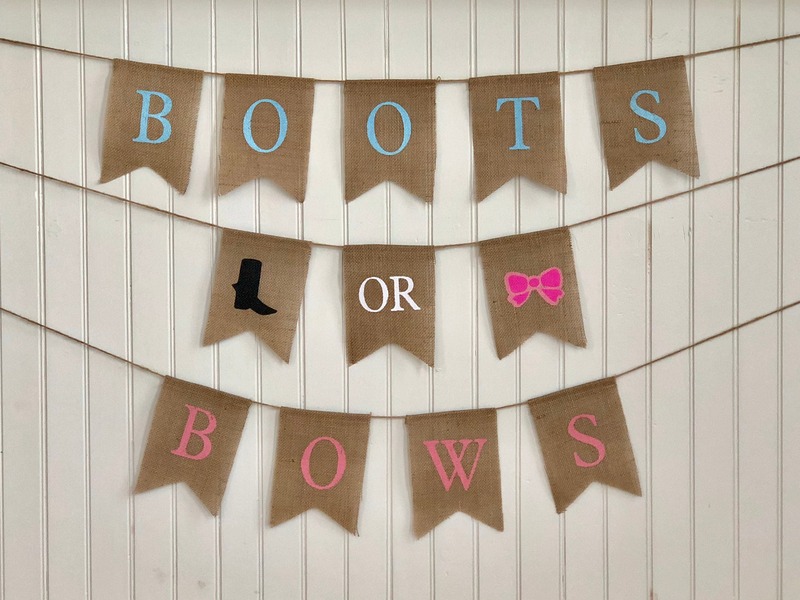 Be The Hero of Your Gender Reveal! Dependent on the option selected at check out and are based off domestic USPS time delivery estimates. For insurance on your shipment you must select at least Priority Shipping and for a time guarantee you must select Priority Express. A tracking number will be shipped to you when the order is fulfilled to the email address on your account.We ship to the Address on the order. We take responsibility for delivering the product to the post office and hand over control of your package from that point on to the USPS. If you have any questing about delivery or shipping please direct your questions to the post office since they will have more insight then we will into the situation. How are the products labeled? Each ball will have a removable pink or blue yarn tied to it. Powder cannons have a small dot on the bottom but it is easily removable. For no labels order secret and make a note to seller telling us the gender. Secret has a small silver sticker. 24 inch confetti cannons have the color stated on the bottom with an easily removable sticker. What does the pink and blue football come with? 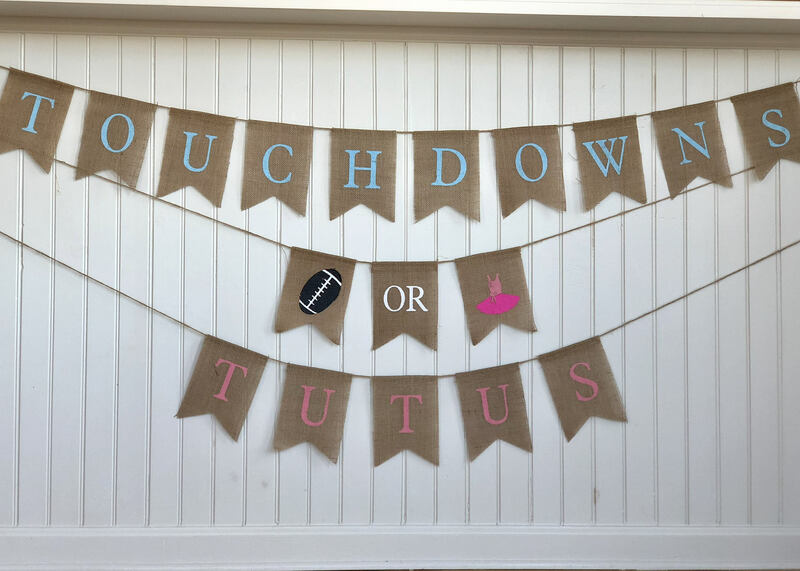 You will receive 1 football and a pack of each color to fill the football once the gender is known! To receive a ready filled football please select pink or blue! How do I go about a secret order? Select the secret option when checking out and make a note to seller letting us know when to expect your results. Please have your doctor or friend email jon@poofthereitis.com along with your order number, name being shipped to, and the results! You will receive a shipped notification but don’t worry! We will print your order off and hold it to the side until we receive the secret results! We will then package your order as soon as possible with no color indicators and have it on its way to you! You can also mail the top secret results straight to us, just ask! What are the shipping times within the US? We ship out all products same day if ordered by 2pm eastern Monday-Friday and it depends on which shipping option you choose at checkout. For domestic shipping First class is 2-5 days estimated, priority is 1-3 days estimated and priority express is 1-2 days guaranteed by the post office. What are the international (Canada included) shipping times? We ship out all products same day if ordered by 2pm eastern Monday-Friday and it depends which shipping option you choose at checkout. Please note: USPS First-Class International shipments can take up to 8 weeks to be delivered. They don't always take that long, and they are usually delivered before that time, but we kindly ask that you please wait until at least 6 weeks before contacting us. It can take quite a bit of time for the shipment to get through Customs as well as get sorted through your local postal carrier..
What if my package is lost, delayed, or damaged by USPS? Delayed, damaged or lost packages are not our shop's responsibility. We do not have control over your package once it is scanned in by the post office. We make sure our packages are packaged securely in 200lb crush proof boxes. Please make sure your address is correct. We can not be responsible if the package is sent to a wrong address. In the event that your package is marked return to sender due to an incorrect, no such number, unable to forward address we are not responsible. We can reship the package to a new address provided by the customer at the customer's expense. Please, contact USPS in regards to stolen, damaged, lost or delayed packages 1-800-275-8777 or contact your local post office directly. 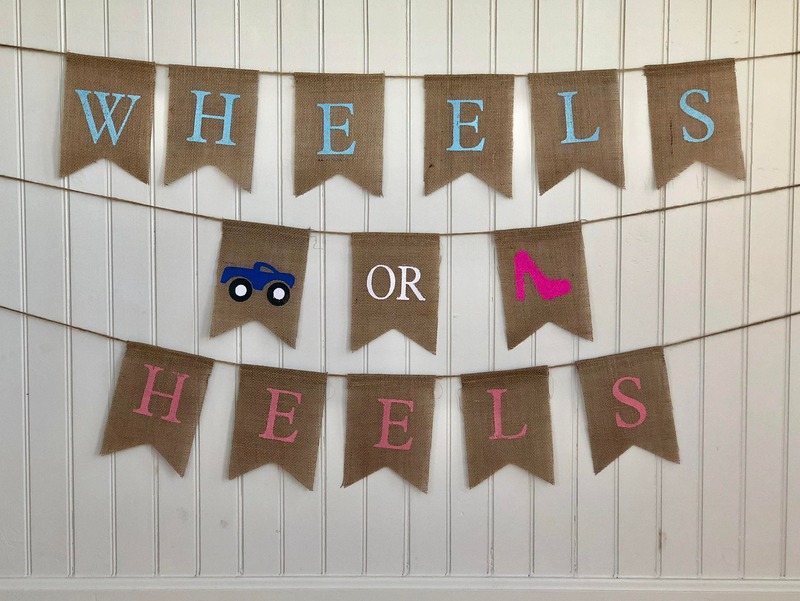 Cute decoration for our gender reveal party! 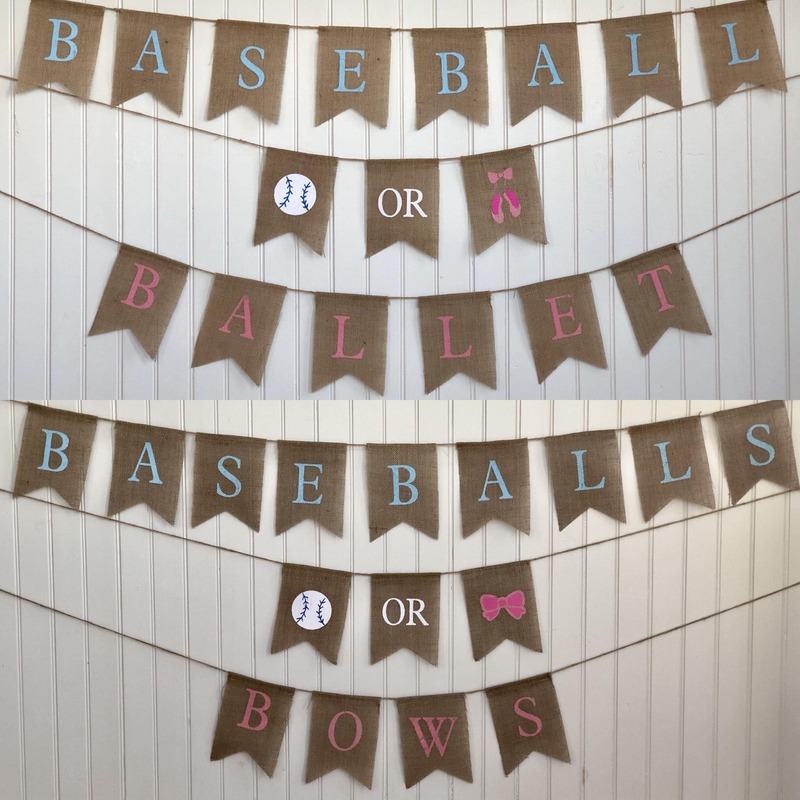 it was perfect for our gender reveal party! Thank you!